The social network Facebook has become such a behemoth in that space that it’s now sending an astounding 180 million clicks to Apple’s App Store marketplace and Google’s Play Store for Android software. That’s one of the nuggets from a speech Dan Rose, Facebook VP of partnerships gave at The Wall Street Journal-sponsored D: Dive Into Media. 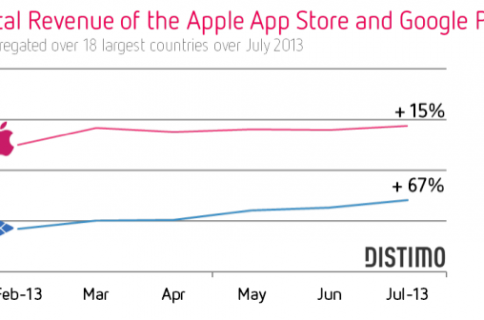 Facebook, Rose said, sends 180 million clicks to the Apple App Store and Google Play marketplaces. That’s now becoming a serious business. “That number is only going to continue to grow,” Rose said. Facebook’s “mobile first” strategy is working, he says. So many things are unlocked on mobile. You don’t bring your computer to a restaurant or a party. Guess who else thinks developers are no longer innovating on the good ol’ PC? The innovation has moved away from PC development to the tablets and smartphones. Who is making PC apps now? No one, except the usual suspects. 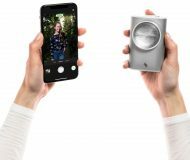 With more than six billion mobile devices in the hands of users versus just two billion connected PC users, little wonder that hot startups are focusing on mobile devices. 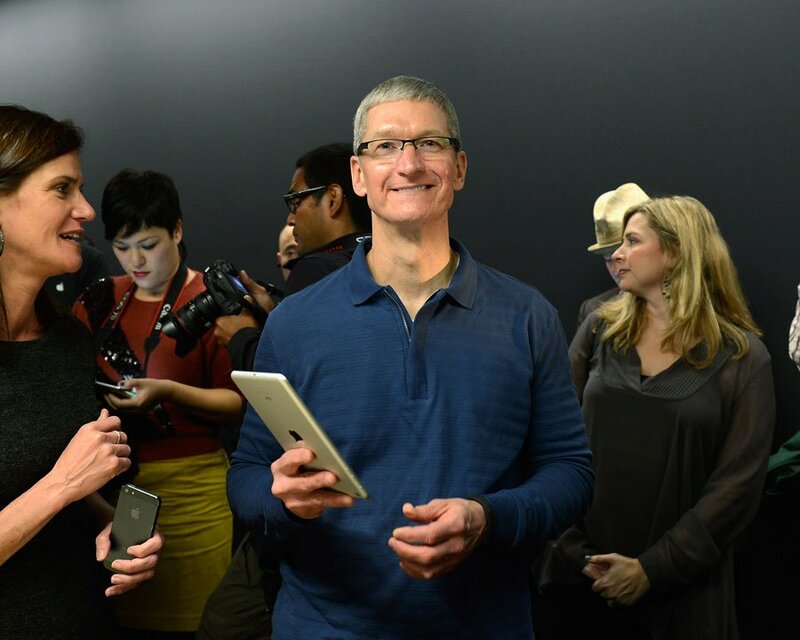 Apple, for example, sold more iPads last year than Hewlett-Packard sold PCs. And while Facebook initially wasn’t embarked on that – the company had hoped HTML5 web apps would prevail (guess who else made that bet?) – the company rebooted. 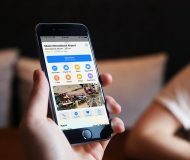 The iOS and Android clients have been revamped and rebuilt for speed as Facebook appears to be keen on experimenting with additional mobile software, including apps such as Like, Camera, Messenger, Pages Manager and more. With a billion active users, 70 percent of whom are visiting the service daily, Facebook is now at the forefront of “mobile first” revolution. In the past, Facebook acquired small companies for talent, with Instagram being the first company it bought for the product. 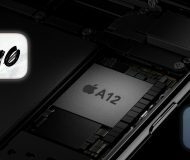 However, Rose said that more deals for product and technologies are likely. 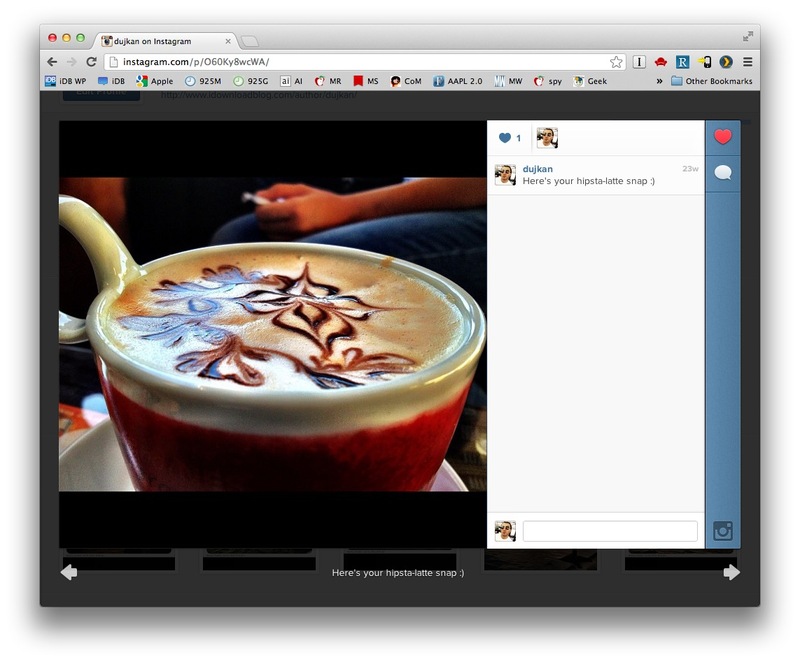 Facebook recently updated Instagram’s web interface with the ability to ‘like’ and comment on images. “We do not offer the ability to upload from the web as Instagram is about producing photos on the go, in the real world, in realtime,” Instagram’s founder defended the decision in a blog post. For Facebook, it’s all about sharing and identity as it’s become a billboard for people’s profiles on the web. From an identity perspective, so much of who we are and how we identify ourselves comes from what we read and what we watch. So our identity platform can’t be complete without media being part of it. Similarly, the sharing piece can’t be complete without status updates about news stories, music friends are listening to, updates about movies people are seeing. And, he also hopes that Facebook with its new search tool will easily become the primary discovery mechanism for web content. Imagine a future, though, in which you turn on the TV and see a feed of all the shows your friends watch. We think that’s a very compelling idea. Content discovery always has been and always will be social. 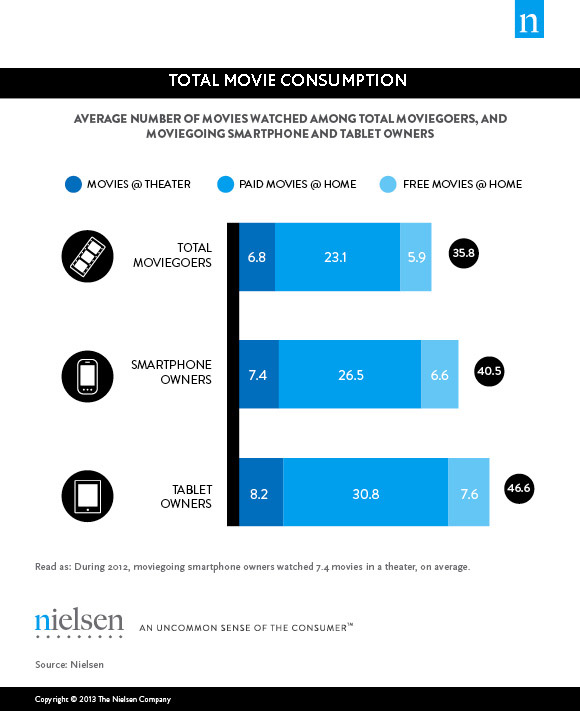 Indeed, a Nielsen survey reveals that owners of smartphones and tablets in the United States last year attended nine percent and twenty percent more movies, respectively. I don’t think we’ve walked away from Zynga at all. 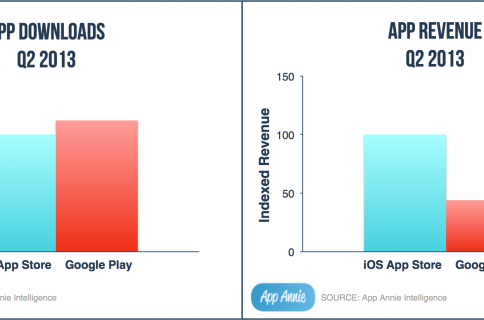 They built a large and successful business on our platform… We still spend a lot of time with Zynga. 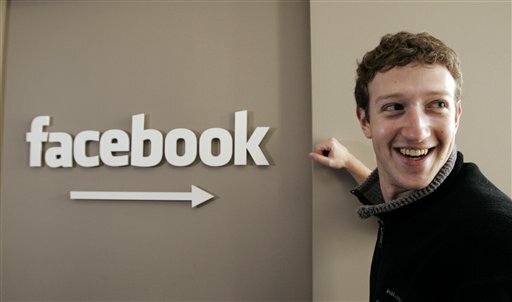 Finally, he remarked that Facebook spent the last year “really pivoting hard and becoming a mobile company”. And what’s a mobile company without its own mobile hardware?